The High Crook | OK Listen! and all ye need to know." – John Keats, Ode on a Grecian Urn. The High Crook is a rock ‘n’ roll band that seeks to perfect and engage the crowd in the true essence of blues in current times. Our music takes one on a ride from their aggression of being a punk, to the old guy in a hat enjoying his scotch by the bay… Revolving around many moods we try to strike a balance between imperfections and perfections of expression n emotions… Overall THC is an idea wherein we members would like the world to know and remember the roots of rock n roll, the blues. If the world goes back to the roots and understands them completely then the transition to the modern is that of an ideal world, which will be lived in reality… Thus, easing the ears of the listener and ourselves, we The High Crook, just like THC have an analgesic effect, including other effects like relaxation, alteration of auditory nerves, and an appetite for construction through music. Our music is honest, and we seek for beauty through this honesty. 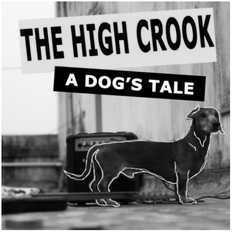 The High Crook started out as a 2 member project with Arjun and Ankur working on their debut album back in 2010. Anirban and Aditya joined the band later in order to complete the musical ensemble that our fans across India are familiar with. The diverse musical influence that the members presented to the soundscape helped THC attain the sound that we present to our audience in our debut EP, “A Dog’s Tale”. Since early 2012, the band has been performing across India with Kolkata being their abode. The band is currently working on their first full length LP and looking forward to their worldwide release of their debut EP on 22nd Jan through iTunes, signed under LMT Records an American based Indie label. Anirban Roy: “Bassmonkey” comes from the transcendental grooving, which Anirban Roy breaks into while providing the bricks for each song. His detached and introvert nature contrasts the monkey-jig on his feet and the slaps in his bass- as if the devil has possessed his mind. Initially a progressive rock fan, he attempts to find the beauty of every genre, while staying loyal to his band’s mother genre, which “made me one with the universe”- first time he heard it. With idols ranging from Flea, John Paul Jones, Ray Manzarek and Geddy Lee, he carries on the baton of experimenting with the bass to consolidate the structure above which the ‘the deal is done’, as it were. Aditya Dutta: Situation: You ask a tabla prodigy already inducted in an Indian classical gharana to play the drums. He picks up the sticks and gets on with just another day at work, while you are left with your jaw dropped, soul shaken, mind dumbfounded. Aditya Dutta, with his quintessential Bengali restraint, veils the hummingbird-fingers which garnish an impeccable music sensibility- you never get tired of a song in which Aditya graces with his drumbeats. The youngest member has an equal range of genres, which he combines to create the beats which unify every composition to make a perfect song. Bonzo is his greatest idol.